Kilter Termite and Pest Control has provided termite treatment services to homeowners in Canyon Lake, California, and all surrounding areas since 1991. During our time in business, we’ve earned the trust of countless customers because we take a custom approach and use innovative products and methods, ensuring effective results. When homeowners in Canyon Lake, CA, contact us for termite treatment, we begin by providing a free home inspection to determine the extent of the infestation. After providing an honest assessment of the problem, as well as an accurate estimate, our experienced technicians will get to work using the advanced KILGUARD system. 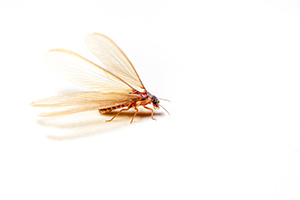 In addition to completely eliminating drywood and subterranean termites, this termite control solution is more convenient than those used by most of our competitors. That’s because KILGUARD does not involve fumigation, so homeowners don’t need to find alternative accommodations during the treatment process. In fact, our system is safe for families, pets, and the environment. If you’d like to learn more about the termite treatment services that we provide in Canyon Lake, CA, contact Kilter Termite and Pest Control today.